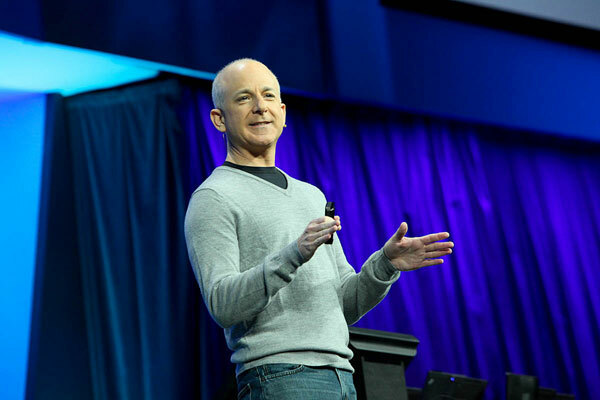 Steven Sinofsky was a Microsoft executive who ran the Windows division of the company for many years. 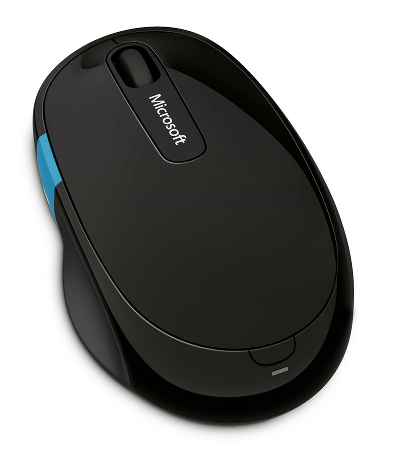 Sinofsky had recently left Microsoft after not seeing eye-to-eye with other senior management at the company. One of those people included Steve Ballmer, the current CEO. Now, Sinofsky is heading to Harvard to teach product development, planning and more. Currently, is unclear how long Sinofsky will remain at Harvard. 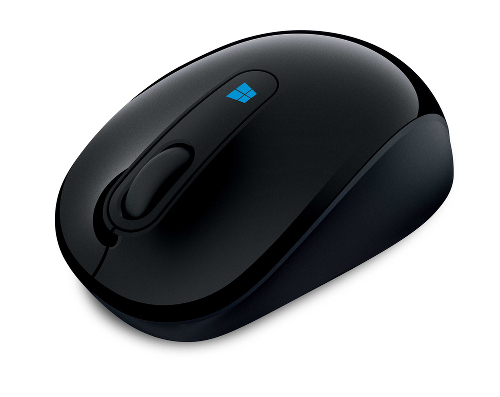 Sinofsky is credited with restoring user’s faith in Windows by pushing out Windows 7, which has done quite well. He was also the main man behind Microsoft’s latest OS, Windows 8. 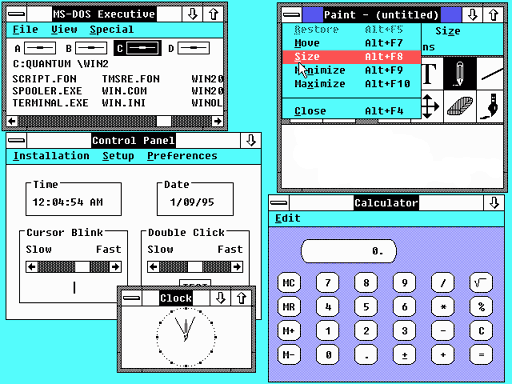 With all of this talk about Windows 8 and all of it’s new features I can’t help but think about how much Windows has changed over the years. Windows has maintained it’s dominance over the OS market for decades now and it didn’t just happen over night. So, let’s take a look at the evolution of Windows. Here’s something pretty cool. 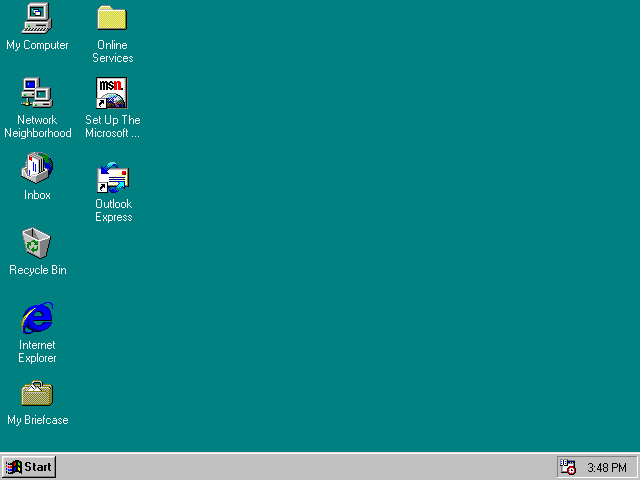 If you don’t feel like popping in a few floppy disks to experience the Windows of the past you can head to this cool website that emulates the Windows 3.1 Desktop. 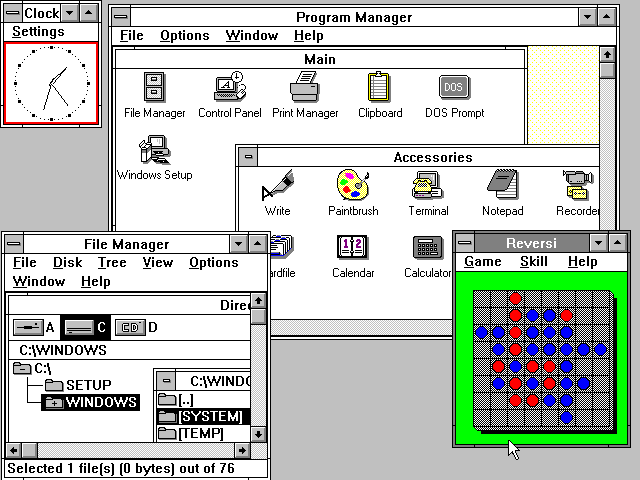 Code named “Interface Manager”, this was the first version of what was later renamed Windows before it was released. 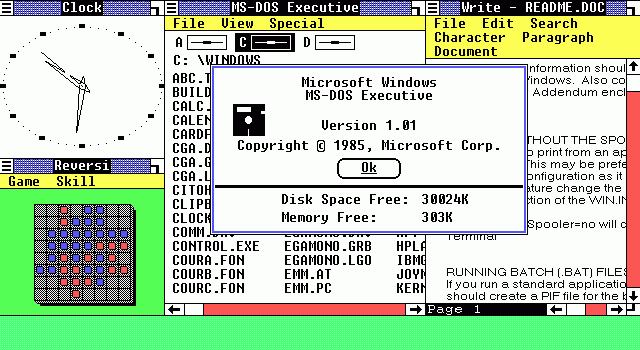 It’s important to note that prior to Windows, MS-DOS (Microsoft Disk Operating System), was the primary OS used on PC’s. MS-DOS was powerful during its heyday and I used it all of the time to play some of my favorite games, even after Windows was released. 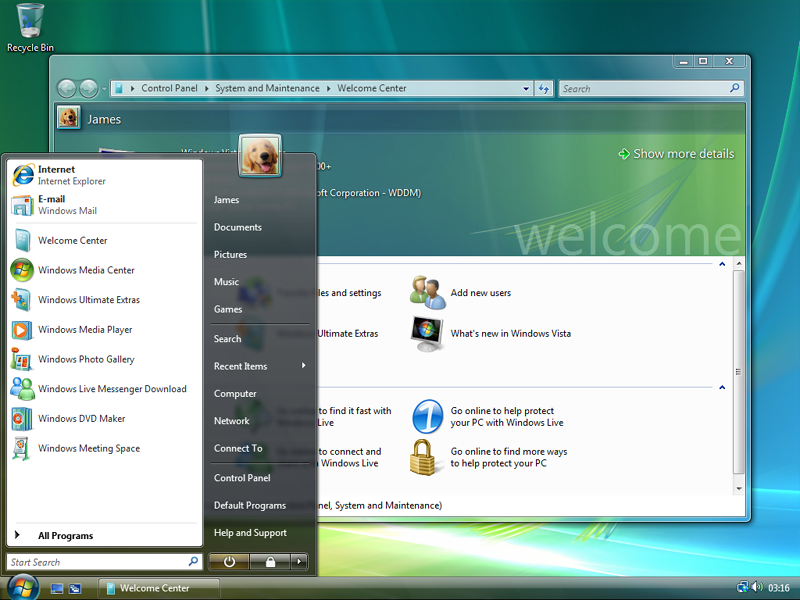 Windows aimed to make using your computer much easier by incorporating a GUI (Graphical User Interface). Some people thought that Windows would never catch on, little did they know what it would become. 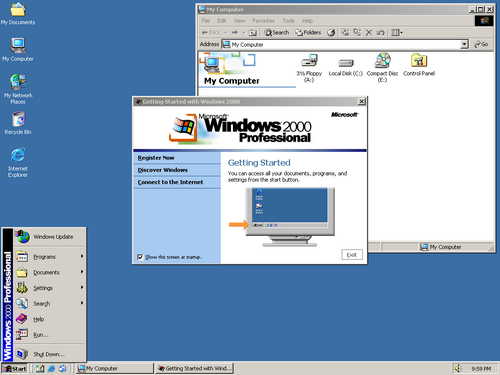 Windows 2.0 aimed to take advantage of newer, more advanced hardware that had greater memory capacity. UI design improvements continued as well. Computers are getting much faster and graphics are improving as well. Windows 3.0 supported 16 bit graphics and introduces the new file management applications Program Manager and File Manager. Printing was made easier with Print Manager. At this time MS-DOS is still being used along side with Windows as many programmers continued to write for DOS instead of Windows. How could we forget Windows 95 and the introduction of the Start Button and taskbar, which offered a great way to organize and easily access all of your programs. At this time the internet was just beginning to take over the world . Windows 95 brought us into 32-bit computing and much faster and better looking graphics. The cd-rom becomes commonplace in computing and Weezer makes an appearance on the Windows 95 installation disc. 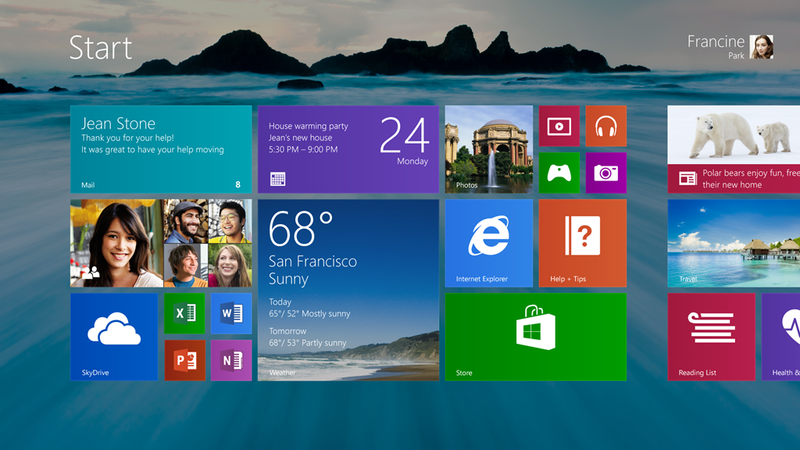 Programmers begin to embrace Windows more than ever. 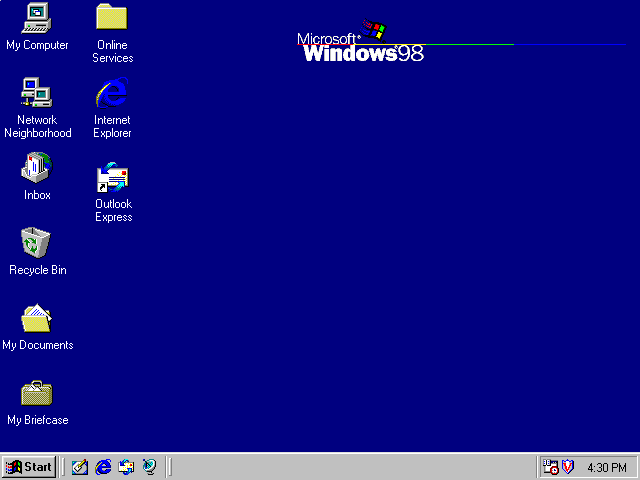 Windows 98 brings us the Quick Launch bar and increased performance. USB is becoming extremely popular and Windows 98 takes advantage of this new technology. 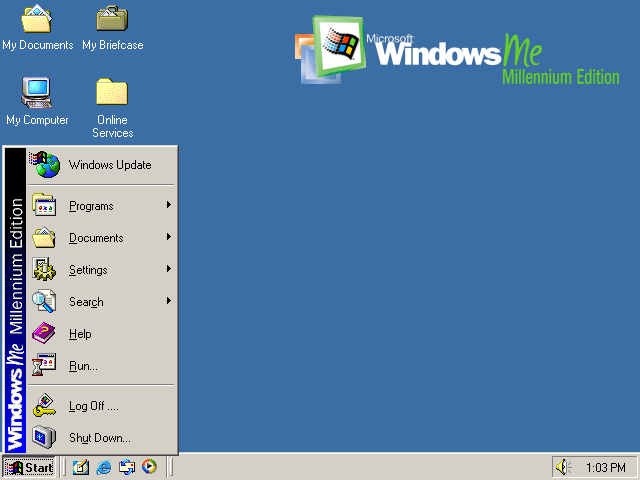 Windows ME brought us System Restore and Windows 2000 was the upgrade of choice for businesses from all previous versions of Windows. Software developers are taking full advantage of Windows and applications that run on DOS are becoming less prominent. The Windows kernel has forever changed and is now based on Windows NT. 64-bit systems are supported and security enhancements continue to be made. 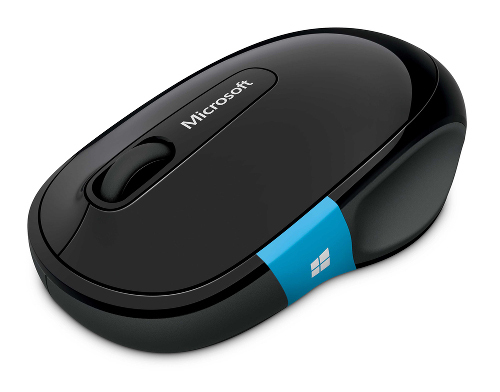 Wireless 802.11 support and remote assistance are added to the mix. 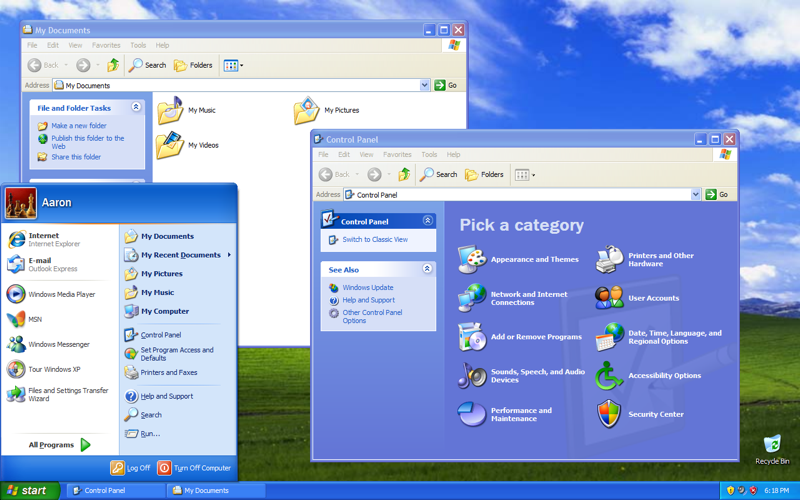 Windows XP was hugely popular and is still used even to this day. Windows XP is very stable and extremely fast, it’s one of the best releases of Windows. DOS is starting to fade away and becomes more of a hidden feature that is only used for specific tasks. 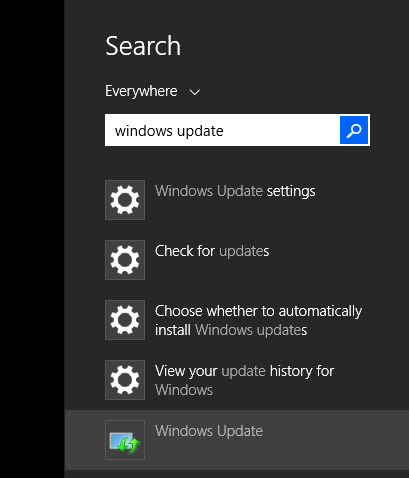 Windows gets a cleaner look and UAC or user account control makes it’s debut in order to make Windows more secure. This version of Windows wasn’t well received due to consumers complaining about it’s stability issues. 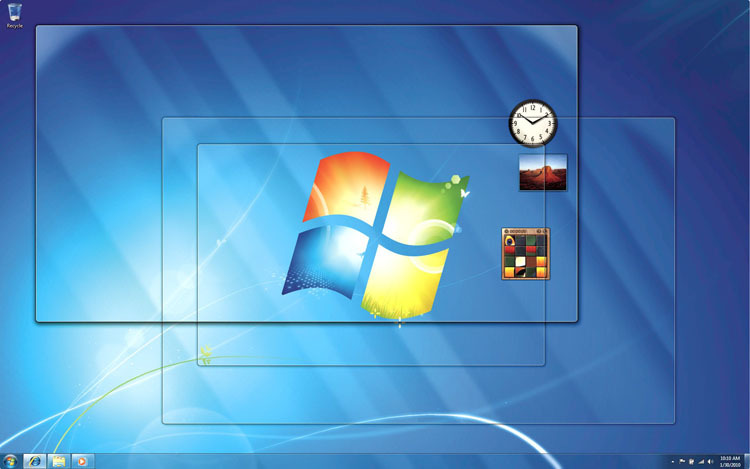 Windows 7 features live thumbnail previews and new ways to size and control windows. 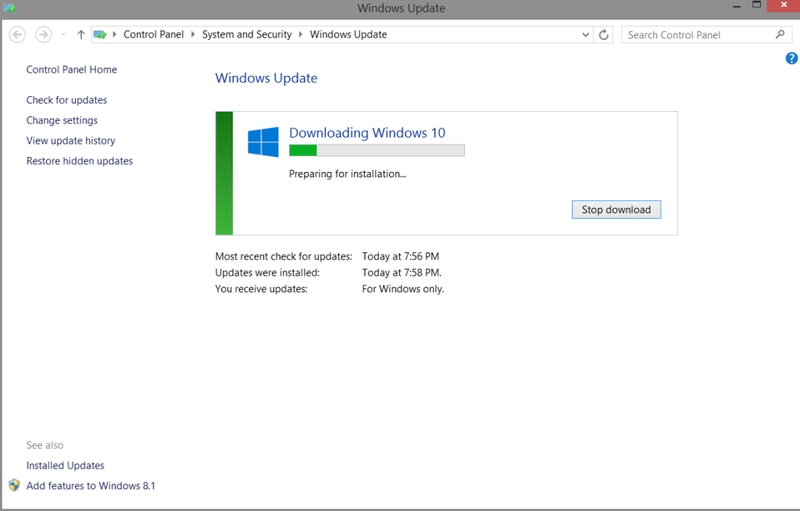 After many, many security updates and patched since Windows Vista, Windows 7 becomes very stable and unlike Vista, gets a thumbs up from consumers. The new Xbox dashboard style desktop makes it’s debut. The Microsoft Store makes finding and buying applications very easy all while keeping your computer safe from malware by having a certification process in place that developers must pass in order be featured in the store. At this time some developers are a bit weary of using the new sandbox type system while others embrace it. The now “old” style desktop is a shell of what it used to be, but is still available in order to run legacy Windows applications.